Accepted HASTAC 2019 Conference Proposal. Check back for the full presentation in May 2019. In 1724, the Henanecha, an Algerian tribe in the eastern province of Constantine, were taken by surprise when the combined forces of two Ottoman provincial governors sought to bring the rebellious community to heel. In the midst of defeat, the sheikh of the Henanecha, Bou Aziz, prepared 8,000 head of cattle and goods to turn over to the Ottoman conquerors. Before he could deliver the property, however, his daughter, Euldjia mounted her horse in resplendent clothing, rallied both men and women, and launched an assault that drove the Turkish army back. Songs and oral traditions of the Henanecha recorded in the mid-nineteenth century still recalled her heroism more than two hundred years after her bold action saved the community. Euldjia is not the only remarkable woman in Algerian history, however. This project seeks to decolonize knowledge about Algeria, as well as the archive by repurposing digital tools to surface the most marginalized voices and experiences of Algerian women. It uses text mining to “read” the available source materials – European and American travel accounts, nineteenth-century French scholarship, and chronicles of the provincial governors of Constantine, Algeria against the grain. In combination, text mining, close reading, and network analysis enable us to uncover the untold stories of both exceptional and ordinary women who lived under Ottoman rule between 1567 and 1837. Text mining these sources using Named Entity Recognition brings to light the names of prominent men and women, as well as the relationships among the Ottoman elite and autochthonous Algerian notable families. In many cases, the names of women are unknown, but the documents reference the marriage of an Ottoman administrator into a particular family or that the woman was the daughter or sister of a named man. Even without her given name, we know that this woman existed, to whom she was related, and that she served as an important intercultural mediator between two families, as well as between the Ottoman Empire and the local community. Particularly, in the region of Constantine, Ottoman provincial governors had to demonstrate that their interests lay with their subjects and not with the Ottoman Sultan alone. Marriage into a local family not only conveyed this message, but it also created strong bonds of alliance and protection for both Algerians and the governor. 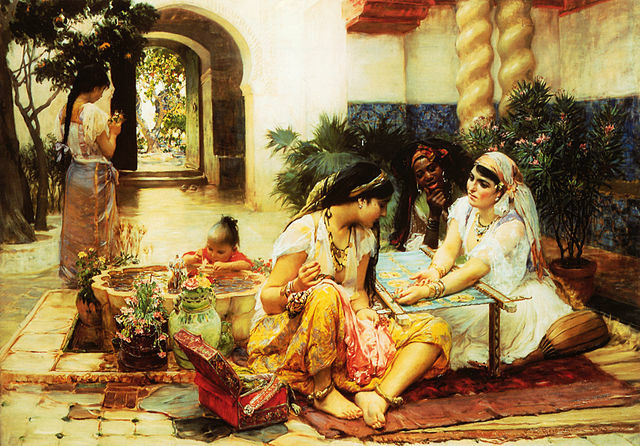 Therefore, the network of relations that emerges from the records reveals the contours of ethnic, social, and political ties in Ottoman Algeria. This project, then, demonstrates the ways in which women were central to the creation and maintenance of the socio-political networks that held together the tenuous bonds of the Constantinois society and government. The data, visualizations, methods, and analysis will all be made publicly available when each has been validated. By making Algerian women’s history and the underlying data available, we begin to write an anti-colonial history that addresses their inaccurate representations in colonial literature,and their glaring absence in both scholarly narratives and the public record.